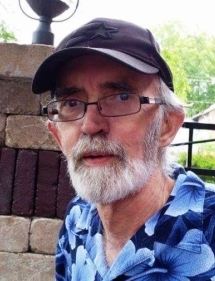 Obituary for Joseph Patrick Murphy | Doolittle Funeral Service, Inc.
Joseph Patrick Murphy, 68, of Middletown, passed away on Thursday, August 23, 2018 at Middlesex Hospital. Born in Mount Kisco, New York, he was the son of the late Eugene and Catherine (Mahar) Murphy. Joe was a veteran of the United States Army serving in the Vietnam War. He was employed at Connecticut Valley Hospital as a Substance Abuse Counselor for many years. Joe loved going to car shows and above all loved his granddaughter, Delana. Joe is survived his foster mother, Dorothy Temple of Florida; a son, Shane Murphy of Wisconsin; a daughter, Dana Murphy of Florida; a sister Coreen Rockefeller and her husband, Jesse of New York; his grandchildren, Maribel Wynn and her husband, Marcus, Delana Wynn, Evelyn M. Murphy, Caitlin A. Murphy and Lilly J. Murphy. A graveside service will be held on Friday, August 31st at 10:00 am in the State Veterans’ Cemetery, 317 Bow Lane, Middletown where full military honors will be accorded. To share memories or send condolences to the family, please visit www.doolittlefuneralservice.com.